New mesh by me! Separated from that adorable Dine Out dress but, should be base game compatible. 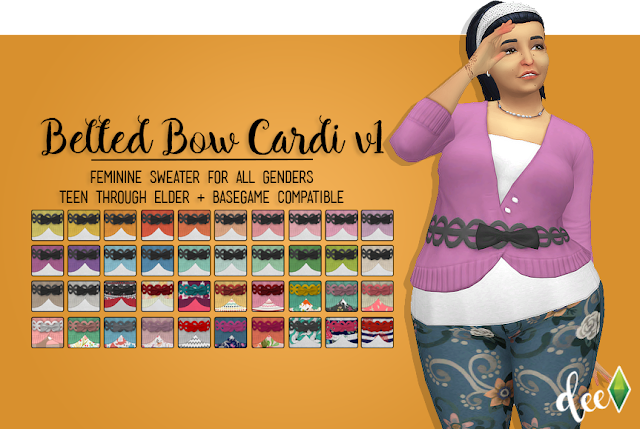 Comes in 22 Colors from @eversims palette with white shirt and 18 Patterned Swatches (40 Swatches total). For human & alien! Under everyday/formal/party sweater category. Now with all proper texture files and LODs.